Hello friends! Don't you just love STAMPtember at Simon Says Stamp? 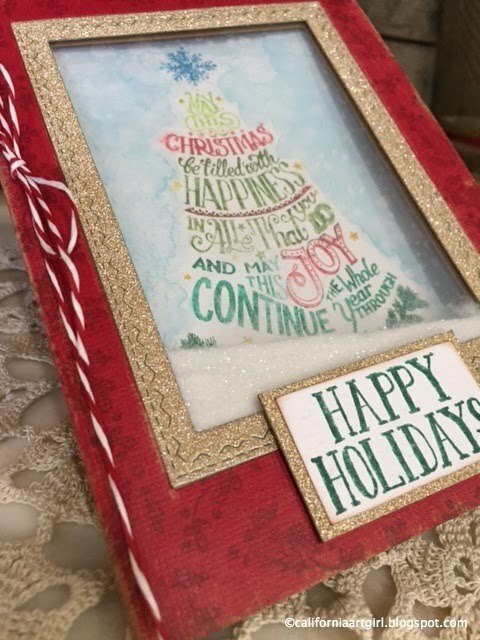 So many fun things happening and the new products are AMAZING like this exclusive set with Tim Holtz! 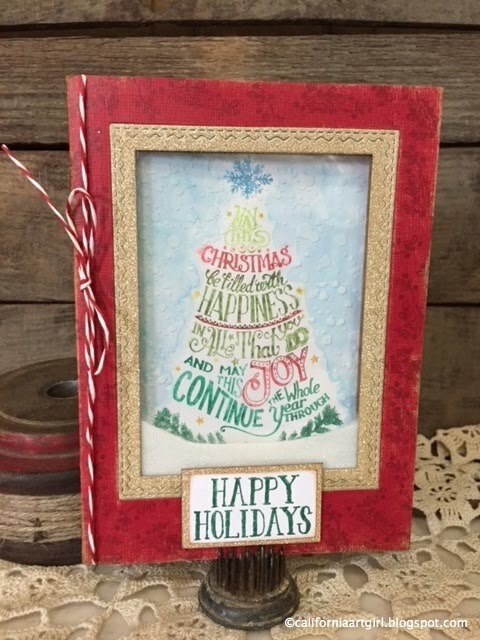 My card today features the new Tim Holtz stamp set from Stampers Anonymous exclusively designed for Simon Says Stamp and it even comes with a fun Layering Stencil that's part snow and part Poinsettias, it's perfect for the Holiday season. Creating a shaker card was a way to add a snowy hill to set off the festive tree. 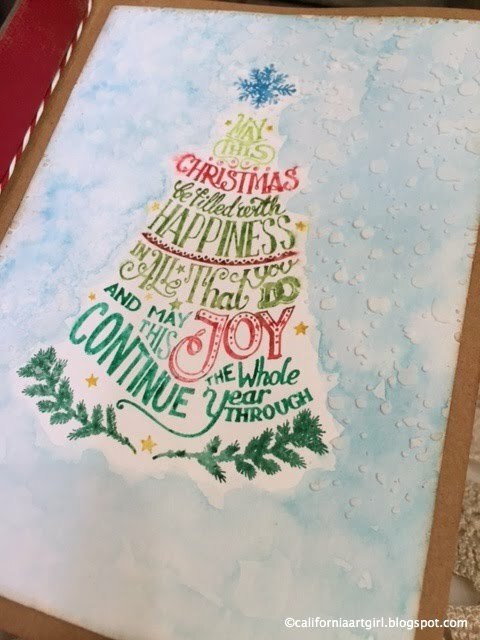 Color the stamp with Distress Markers to make fun colors on the tree. 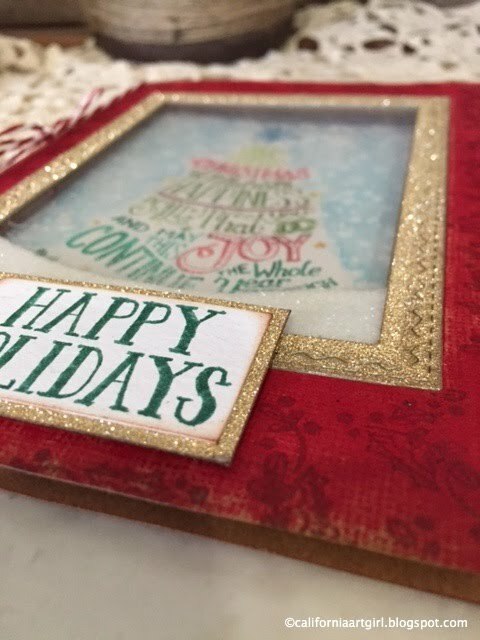 Deco sheets are a great way to add a little sparkle to your holiday cards. Check out the snow! I used a little Texture Paste trough the Layering Stencil to create the effect of snow falling. Find all the supplies I used at Simon Says Stamp! Hello friends! Have you been enjoying the 2016 Halloween Inspiration Series on Tim Holtz's blog. It's full of AMAZING creative projects. Today is my turn to share some cards made with the new Halloween launch from Tim. Head over to Tim's blog and check it out.